MDMA, a stigmatised psychoactive drug that many associate more with parties than with medicine, could soon be a powerful tool for treating post-traumatic stress disorder and other psychiatric afflictions. The Multidisciplinary Association for Psychedelic Studies (MAPS) will soon be embarking on a multinational study on the efficacy of psychedelic-assisted psychotherapy. This marks the third phase of a nearly three decade-long endeavor for MAPS, during which public perception of MDMA as “party drug” has remained a constant barrier. Despite this, researchers see incredible potential in the drug as a groundbreaking treatment to not only reduce symptoms for sufferers of PTSD, but to actually eliminate the disorder. Brad Burge, communications director with MAPS, says that the stigma and politicisation of MDMA has affected researchers’ ability to get regulatory approval to conduct research and acquire funding. To this day, MAPS has yet to receive a single dollar in funding from any national government. The third phase of MAPS’ research will take place at 15 research institutions and private practice sites in the United States, Canada, and Israel. One of these sites will be the B.C. Centre on Substance Use in Vancouver, where 18 subjects will be treated with the drug in late spring or early summer of 2018, depending on the timeline of regulatory approvals and importing the medication from the United States. All of the recruited subjects for the trials will have been clinically diagnosed with moderate to severe PTSD. Tupper explains that MDMA could assist with psychotherapy by helping to break down the fear and emotional stress that patients feel while confronting traumatic memories. Additionally, the experience helps build trust between patients and therapists. Tupper says that there are likely other effects that are yet to be understood. The portion of the psychotherapy process that involves the use of MDMA typically happens over the course of three sessions between six and 10 hours long. After ingesting the drug, the patient is given a blindfold and noise-cancelling headphones and is asked to “look inward” while the therapist is on hand for guidance. The MDMA sessions occur after several weeks of preparatory therapy and before several sessions of post-therapy, during which the therapist works with the patient to process the experience that they had. MDMA and other psychedelics haven’t always had the party drug reputation that they’ve now been saddled with. Burge explains that, in the 1950s and early ’60s, MDMA and other now-controlled substances were already being used in counseling and therapeutic settings despite a lack of formal research. At this time, he says, Canada was a leader in the adoption of psychedelic psychotherapy. In fact, the term “psychedelic” was coined in Saskatchewan by British psychiatrist Humphry Osmond in 1956. It wasn’t until the war on drugs began to ramp up in the late ’60s that public perception began to turn on these substances. Tupper says that the number of legitimate studies on the therapeutic potential of drugs like MDMA diminished rapidly during that period, and by the early ’70s, research on the subject had been abandoned entirely. “A whole variety of factors—largely, changing circumstances of non-medical use on the streets by the counterculture—led to a political backlash that led to the passage of laws and regulations that were very effective at keeping these drugs out of the hands of scientists and doctors, but not so effective at keeping them out of the hands of young people on the street,” says Tupper. MDMA was officially criminalized in the United States in 1985 and, as a direct response, MAPS was founded in 1986. From then until the mid-90s, research into the medicinal potential of MDMA was rendered impossible, as regulatory agencies in U.S., Canada, and Europe refused to grant permission for legitimate studies to be conducted. In the mid-90s, an internal administration change at the FDA meant that research into psychedelics was back on the table. The FDA was suddenly much more interested in prioritizing research that could find a cure for conditions with few treatment options, such as post-traumatic stress disorder. 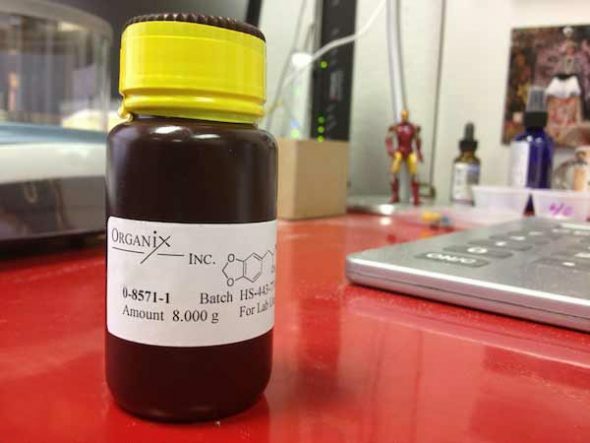 This regulatory culture shift gave researchers at MAPS the opportunity to begin the initial phase of research into the use of MDMA as therapy. These early studies focused primarily on the potentially dangerous side effects of the drug, none of which were found, according to Burge. After the first round of research yielded promising results, MAPS finally got the opportunity to conduct the first-ever MDMA-assisted psychotherapy trials in 2000. The trials were based in Madrid and were designed to include 29 subjects receiving the experimental treatment. Unfortunately, once media coverage increased public awareness of the trials, the anti-drug authority in Madrid quickly bowed to political pressure to shut the study down. The Madrid trials ended in 2002 with just six of the 29 subjects having received the treatment. Researchers’ fortunes would change that same year, however, when MAPS received permission from the FDA to carry out trials in Charleston, South Carolina. Five more trials would take place between 2002 and 2016, including one in Vancouver, despite numerous bureaucratically-motivated delays. Tupper says that, as MAPS tried to get approval for the Vancouver study, some of the most challenging delays came from Health Canada. This was partially because nobody had tried to cut the red tape to legally bring MDMA into Canada before. The process of finding a place to store and administer the MDMA took about four years and required “a military level of security for a very small quantity of MDMA,” according to Burge. Tupper says that the findings from phase two of their research were remarkably encouraging. According to MAPS, every test subject reported some sort of alleviation of PTSD symptoms after two months, while 61 per cent of subjects no longer met the qualifications for a PTSD diagnosis after treatment. “There are going to be a lot of people who could potentially benefit from the therapy if the phase three results are anything like the phase two results,” Burge says. With these results in hand, MAPS was able to submit applications to the FDA and Health Canada for the third round of trials, which will commence this year. In an important indication of confidence in the experimental method, the FDA gave psychedelic-assisted psychotherapy designation as a breakthrough therapy in August. The vast majority of treatments to receive this designation from the FDA go on to gain full approval, notes Burge. “That’s really important because it shows that the FDA already recognizes that the phase two results were promising enough and strong enough to justify that designation,” he says. Getting to this point has been a slow process for organizations like MAPS which are trying to explore the true potential of a highly politicised substance like MDMA. Researchers like Tupper know, however, that the possibility of successfully using it to treat mental health issues is too great to be ignored, and that regulators are finally starting to come around.